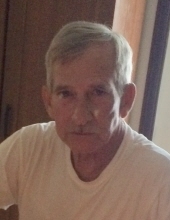 Larry M. Taylor, 68, of Cross Lanes passed away, Tuesday, March 26, 2019 at his home after a long illness. Born in Charleston, Larry was a son of the late Melvin and Irma Taylor. In addition, he was preceded in death by two brothers and a sister. Larry worked in the medical field as a Radiologic Technician for many years. He was employed at various hospitals, throughout the Kanawha valley. The last 10 years of his career, he worked at Thomas Memorial Hospital, in the cath lab. Larry’s biggest passion was his love of bass fishing. He traveled around West Virginia and to several states fishing, sometimes in tournaments, but mostly just for the love of fishing. He is survived by his loving wife of 45 years, Linda Jean Taylor; his sons, Jeremy Taylor and Christopher Taylor and brother Melvin Taylor. A gathering of family and friends will be held at 2:00pm Monday April 1, 2019 at Tyler Mountain Memory Gardens, Chapel of Peace, Cross Lanes with Chaplin Pete Thompson officiating. You may visit his Tribute page at AffordableCremationsofWV.com to share your memories with the family. Cremation Services are being provided by Affordable Cremations of West Virginia, 413 D Street, South Charleston, WV. To send flowers or a remembrance gift to the family of Larry Michael Taylor, please visit our Tribute Store. "Email Address" would like to share the life celebration of Larry Michael Taylor. Click on the "link" to go to share a favorite memory or leave a condolence message for the family.